If you're planning a girls trip, hens weekend or even a romantic getaway I would highly recommend all of these place. Our private wine tour was guided and personalised to us by Adam (wine compass owner). The best thing about "Wine Compass" tours are that they will tailor the day specific to you and your group. Adam knew we wanted good food, good wine and lots of laughs so that's what we got! The first stop was "Jackalope" - this breathtaking winery and hotel is a must visit if you are in the Mornington region. From the divine cocktail bar, minimalistic hotel suites, the stunning infinity pool overlooking the propertY and the amazing food and wine its hard to describe in words just how amazing this place is. I've already made plans to go back with the hubby as I think it would make for the most amazing romantic weekend away. 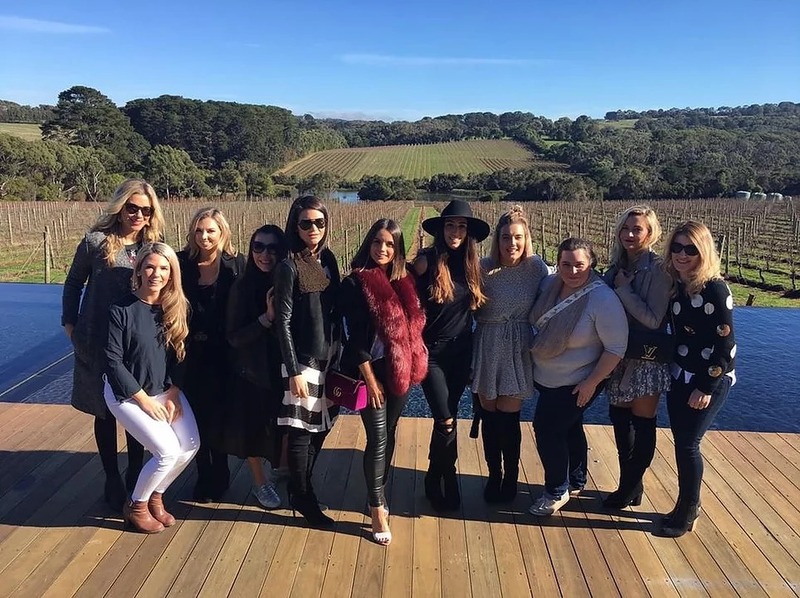 We started with a cellar door tasting of some of the regions most famous wines then had a tour of the property and finished with a delicious 3 course lunch in the cellar door restaurant "Rare Hare." Our next stop was "Morning Sun" a smaller winery with a more laid back vibe BUT the wines were exceptional and the owners were so welcoming and hilarious! The Pinot Noir and Pinot Grigio were my two favourite's so I had to order a few (or maybe more than a few) to be delivered to home. My favourite part of this winery was definitely their general rule - "you must open a bottle of bubbles everyday at 11am". Sounds like a pretty good life rule to me!! Our last stop was at a smaller winery which I cant remember the name of (sorry) but the wines were delicious and they also had an extensive range of ciders - I'm really not a cider drinker but they were delicious! 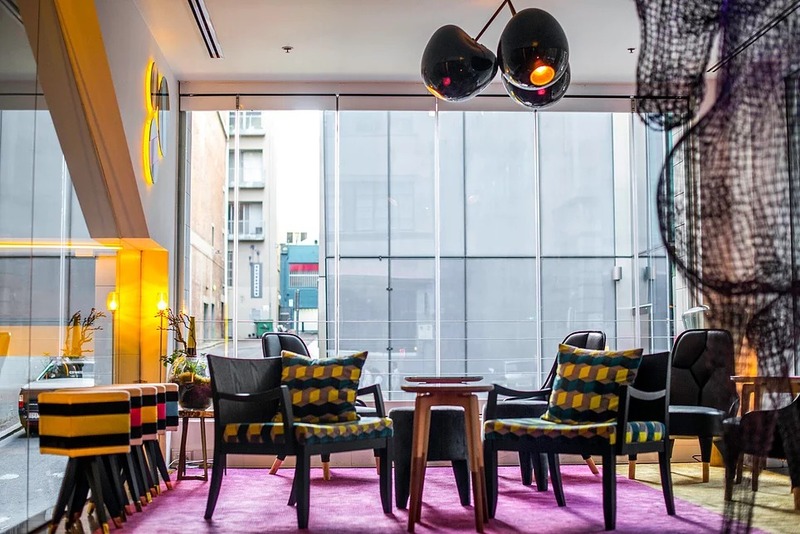 Olivia and I decided to make a girls weekend of it and we chose to stay at theAdelphi Hotel, Melbourne. As you know I stay in a lot of motels and I was totally blown away by this beautiful boutique hotel. The customer service was second to none, the styling/decor, the food, the FREE mini bar and the wine on arrival - ticks all the boxes in my books! This blog was written in collaboration with but not sponsored by Wine Compass and Adelphi Hotel but as always I would never promote something I don't love or use myself.